Many of you know that Toy Story Land is coming to Disney’s Hollywood Studios – we’ve shared several updates on this exciting project. Today, Bob Chapek, Chairman of Walt Disney Parks & Resorts announced that the land will open next summer! In 2018, you’ll find yourself shrunk to the size of a toy to explore the world of Andy’s backyard with your favorite Toy Story characters, including Woody and Buzz. And Toy Story Land will feature two new themed attractions. 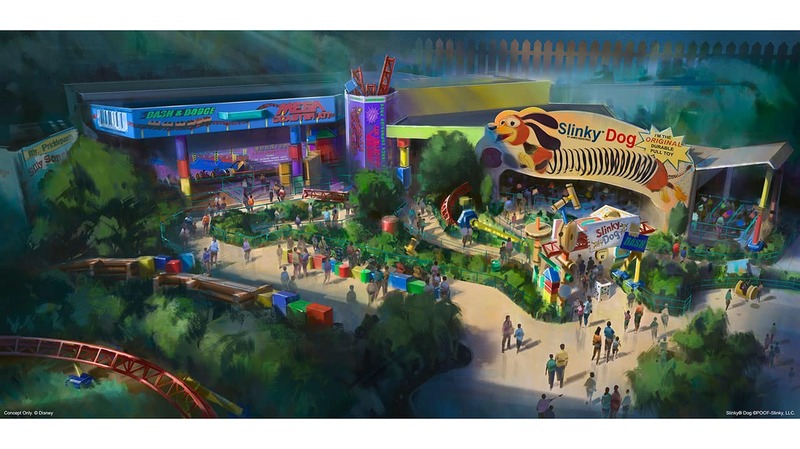 Slinky Dog Dash will be a family coaster attraction where you’ll zip, dodge and dash around many turns and drops that Andy has created to really make Slinky and his coils stretch to his limits. Stay tuned to the Disney Parks Blog for more details on Toy Story Land. Please bring back Pizza Planet!!! Will Toy Story Land have a play area? 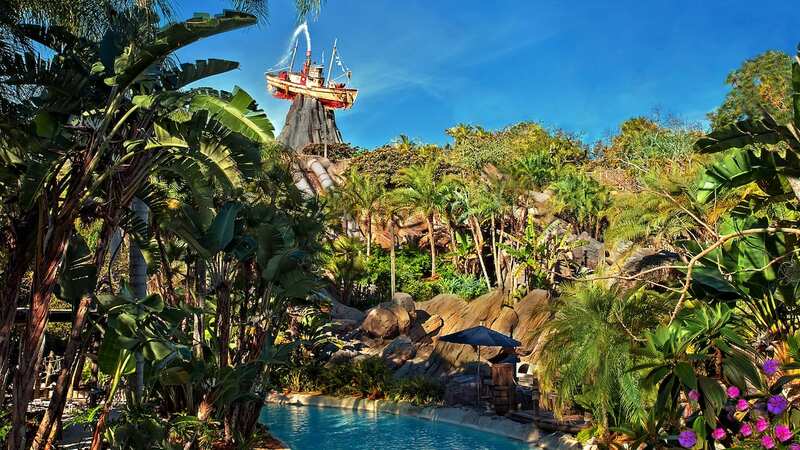 That is something that is really missing from Hollywood Studios since the Honey I Shrunk the Kids play area closed. The parks are great but kids need time to just play and having that outlet makes the whole day better. Hope it opens in early June…….. I wonder wh n in the summer coming down first of June and not very confident in getting to walk in the land ?? Ooh this is exciting. We go every December so this year we have Avatar Land, next year Toy Story Land and the following year Star Wars Land. It’ll be the best three trips in years. So much to do and see so little time! I must move to Florida! Any idea if there will be a Toy Story character meal? Please say yes!! We will be going in june 2018. I hope it will be open before we get there.? Of all the places to eat in DHS Pizza Planet was always a highlight for the kiddos….Why would you not bring it back???? That is really disappointing. What month is this opening? Toy Story Land won’t have a Pizza Planet, but it will have a Quick Serve. Star Wars is going where Streets of America, Lights Motor Action, and Catastrophe Canyon of Back Lot Tour was. Toy Story is going behind Toy Story Mania (which will have a new entrance facing the Land and not Pixar Lane). That was the rest of the Back Lot Tour, actual back lot, and the Earful Tower. Brian, I thought Streets of America area is where Star Wars land is supposed to be? Any idea if there will be a new Pizza Planet in Toy Story Land? Robert, it’s already being built in DHS, where a lot of the backlot experiences/Streets of America used to be. So looking forward to this one; can’t wait. They have been working on this for like 2-3 years. They closed several attractions and areas of HS for the construction of Toy Story and Star Wars. @Robert—I’m pretty sure it’s going to be right behind Toy Story Mania. When we were there this past June, walls were up and there was a dead end. I wonder where the said “Toy Story Land” will go and if they will expand or replace attractions.